You want your people to work together more productively and feel more connected. If you want your people engaged and laughing while they learn to lead and contribute as part of a team, then Sean is your guy! Based in Atlanta, Sean was the 2015 Member of the Year for NSA Georgia. Smart leaders contact Sean when they want their people to communicate better, to recognize and appreciate teammate strengths and roles, or just to have fun while learning together. 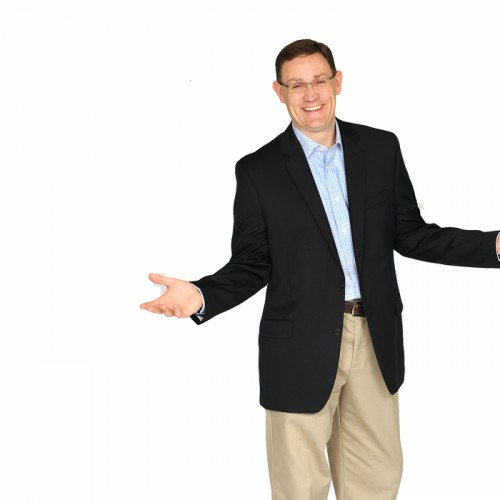 He is an experienced facilitator who provides fun team building events and teamwork keynotes to help transform groups into cohesive and productive teams. The author of Rapid Teamwork and The 10 Commandments of Winning Teammates, Sean is a teambuilding expert who has enjoyed motivating athletes and inspiring teams for over 20 years, turning under-achievers into winners both on and off the court with a focus on teamwork and leadership development. Sean believes that by creating more powerful connections you can immediately and positively impact your organization's culture. Contact Sean to discuss how one of his keynote messages can make your next conference a catalyst event and inspire your people to work together with increased focus and productivity! Sean Glaze delivers interactive conference keynote messages to improve teamwork and help your people stay coachable and work together with an attitude of service and camaraderie. His keynotes and fun team building events inspire groups to become more cohesive and productive teams – and the truth is that every organization becomes more profitable when their employees become winning teammates! Many of his entertaining stories and powerful insights come from 20 years he spent in high school classrooms and locker rooms. Today, Sean helps organizations improve their results by sharing the lessons he learned in leading two struggling basketball programs to tremendous turnarounds – with a focus on team cohesiveness and leadership development. Take advantage of Sean's successful coaching, teaching, and speaking experience to help transform your group into a more productive TEAM! The laughter and powerful take-aways your people will enjoy as part of Sean's leadership and teamwork messages will impact your organization immediately! "He was engaging, funny, and effective. Our all-day meeting was broken up with different speakers, activities... and overwhelmingly Sean's portion of the day was our staff's favorite part! I would HIGHLY recommend working with Sean and hiring for any large or small scale event you have." "Exactly what our administrators needed to hear. They are all still talking about your message and the team building exercises... The stories were fantastic and a great reminder for all of us that teamwork really does make everything possible. They loved the message about focusing on people and not numbers. The Rapid Teamwork book added a nice touch to the event and they were all excited to leave with their very own autographed copy." "Sean was an incredible speaker for our company... with effective exercises that promoted an exciting and trusting bond among the group. I still receive great feedback from my staff about the event." This entertaining message shares a powerful five-part recipe to inspire unity and transform any group into a GREAT team. Culture trumps strategy, and this interactive talk provides actionable steps team leaders can take to create a more positive and cohesive culture. This inspiring talk will help your people increase their value by improving their awareness. Winning Teammates are the people that others can depend on, that others want to work with, that make team success possible. You and your audience will learn how to become more influential by taking ownership and improving interpersonal skills and relationships. Ready to supercharge your personal performance? The best way to grow your team is to grow yourself – and this talk provides and entertaining and effective road map you and your people can apply immediately to climb beyond your current plateau of performance and begin a relentless process of development! The 10 Commandments of Winning Teammates Winning Teammates are the people that make it possible for any group to succeed. Winning Teammates are the people who others depend on… the people who others want to work with. Teammates are often chosen based on their technical skills… but their projects usually succeed or fail based on their interpersonal skills. In the book, you meet Nick Turner, a talented employee who finds himself changing jobs – again. While packing to move, he finds an old piece of paper tucked away in a shoe box… a forgotten gift from his high school coach with a list of ways to be a winning teammate. Looking back on his athletic career, Nick realizes it was very similar to what he is experiencing in his professional career. He had worked hard to become a great player – but he could have had more success if he had focused on the list… he could have been a better teammate. As he travels to his new job, he has a series of interesting interactions that illustrate the importance of the 10 commandments his coach had emphasized years earlier. The ten lessons that Nick benefits from during his journey to his next job will inspire you to be a winning teammate – regardless of the industry you work in. Rapid Teamwork - 5 Essential Steps to Transform Any Group into a GREAT Team! In modern organizations there seems to be a revolving door that presents employees and managers with new roles and new teammates. Their challenge is seldom strategy. Teams struggle because they don’t have a process for bringing diverse individuals together as a collaborative team. This is a story that offers leaders a solution to that all-too-common problem in an easy-to-read and entertaining leadership parable. Rapid Teamwork tells the story of Greg Sharpe, a manager that readers can easily relate to. Greg’s team has been underachieving and struggling with a few issues. What he and his executive team experience during an unusual rafting retreat is a lesson on how to become a more productive team quickly – creating a stronger, more unified workforce. Discover the five ingredients that all GREAT teams have in common, and will take away tools and ideas to apply those same positive traits to their team culture and transform your stressed employees into truly invested owners. By applying the insights that Rapid Teamwork shares, you will gain clarity and purpose, harness the influence of appreciation, and experience the profitable power of team unity! The Unexpected Leader: 5 Lessons for Leading a Team When You Lack a Title! This is a leadership parable that weaves a powerful message of how ONE person can have an incredible impact and lead from wherever they are. An Unexpected Leader is someone who chooses to lead a team with passion and action, not just position. This is a compelling team leadership book that illustrates how ONE person can influence and inspire any team. lt shares a message about the importance of perseverance and how individuals can lead their teammates to overcome obstacles and stay focused firmly on their desired results. If morale is down, this story will ignite your people with enthusiasm – and a renewed passion to handle any adversity. The Unexpected Leader is a parable that shows successful people understand the importance of vision, the impact of rebounding, and the influence they have on others. Every organization finds itself in adversity at times, and this is a message for groups needing team leaders to step up and serve through difficulty or change. Inspiring Interactions - 33 Proven Icebreakers and Team Building Activity Ideas! 64 Pages of Activity Ideas to Energize Your Team – Available Now! Use one or more of Sean’s professional and easy to deliver activities at your next meeting or team event as a fun catalyst for focused conversations and building more productive relationships! Find out more about Sean Glaze at http://greatresultsteambuilding.net/motivational-keynotes/.